The United States Postal Service is utilizing Terence F. Flynn, the disgraced former National Labor Relations Board (NLRB) Member, during their current negotiations with the APWU. Terence “Terry” Flynn started with the Postal Service in 2018 as a labor relations attorney and is currently advising the USPS representatives who are meeting with the APWU Clerk Craft. The USPS team is meeting with Flynn prior to and after each meeting with the Clerk Craft. My dream would be to help make APWU truly a movement of members fighting to save the USPS from privatization. Everyone needs to take responsibility and get involved. There is plenty of work to do. It will only get better when everyone joins in making it happen. We all want a safe, non-hostile, good paying, enjoyable workplace! We all are under attack and without all of us in this fight we could lose everything. 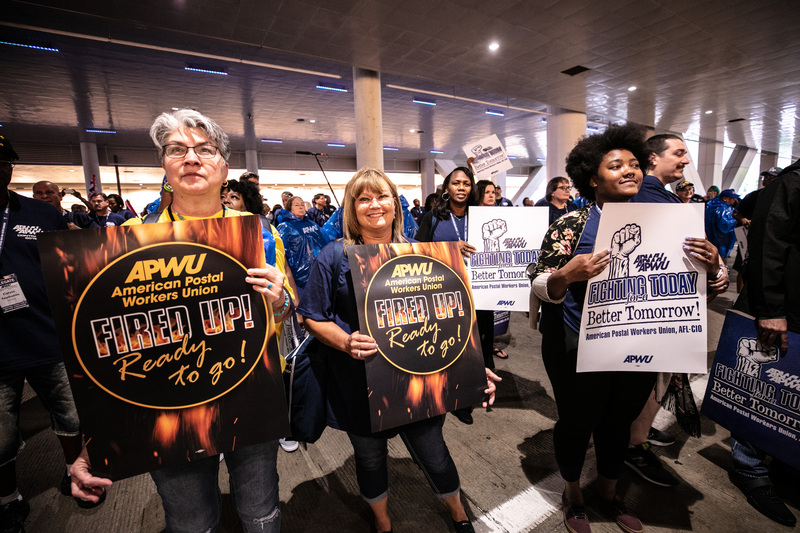 09/21/2018 - APWU President Mark Dimondstein has announced that the union and the Postal Service have agreed to extend negotiations for a new collective bargaining agreement for 30 days.